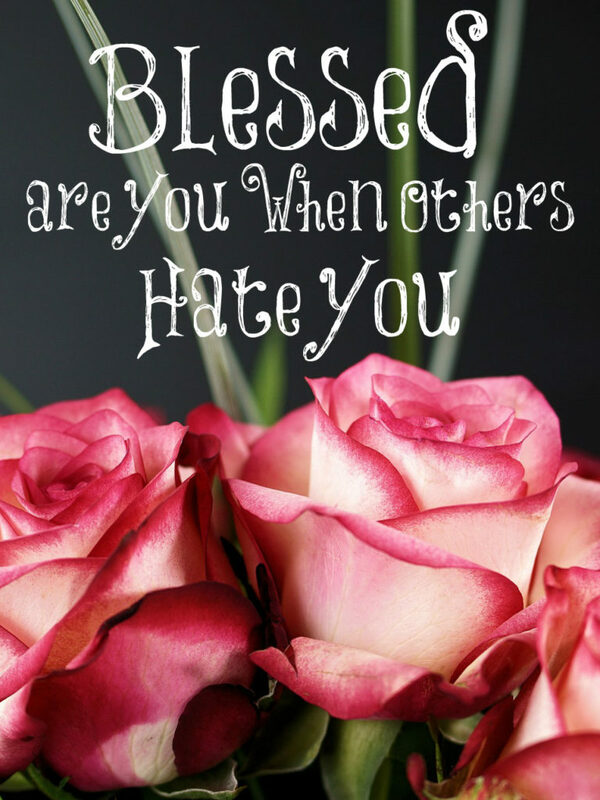 Did you know we are considered “blessed” when others hate us? Yes, many hate God and His followers. They hate His ways and all those who teach them. As most of you know, I have many who hate me and hate what I teach. They tell me they hate me and write all types of swear words about and to me. They make up fake Instagram and Facebook accounts by stealing my picture, name, and moniker and pretend that I am writing horrible things. They have sites dedicated to slandering and gossiping about me. Then I read this from Luke 6: Blessed are ye, when men shall hate you, and when they shall separate you from their company, and shall reproach you, and cast out your name as evil, for the Son of man’s sake. Rejoice ye in that day, and leap for joy: for, behold, your reward is great in heaven…” I am blessed and so are you if people hate you for being a follower of Jesus Christ! We are called to rejoice and leap for joy. Wait, there’s more! “Woe unto you, when all men shall speak well of you! for so did their fathers to the false prophets.” Woe means “miserable are you.” So most of Hollywood and all those very popular preachers and teachers of the Word who tickle people’s ears because they fail to teach the truth boldly are miserable in God’s eyes. We should not want all people to speak well of us and be popular in the world’s eyes since this world isn’t our home and the Devil is the prince of the power of the air who is working in the children of disobedience. Women, we are in a spiritual war that is being waged in the heavenlies. If you are a follower and lover of Jesus Christ, you will be slandered and hated by many. This is a guarantee. Whenever you get troubled about this, remember that this is cause for being blessed by God, rejoicing, and leaping for joy! We know how the story ends, who is King of all Kings, and whom we belong to so we have nothing to fear. If God be for us, who can stand against us! This is such a timely post for the holidays. I am often mocked and ridiculed by family members at family gatherings because I’m a Christian and because I homeschool. I always feel like I’m under a microscope, and whatever I say or do I’m either faced with a sarcastic remark or made fun of. It’s getting to the point where I no longer want to go to these get togethers, but then I’m afraid that it would put my husband in am awkward position with his parents. Any advice? People will say a lot of cruel things. Mostly out of ignorance. They feel putting someone else down makes them feel better about themselves. They are mocking you because they can sense they are getting a rise out of you. In my opinion its bully tactics. If you are confident in your role as a homemaker and homeschool mum, nothing else matters. If you are where your husband wants you to be, nothing else matters. If you havent done so already, express your feelings calmly and respectfully to your husband and ask him his opinion on how to deal wih it. Love them, Anonymous. We are told to heap burning coals upon our enemies head which means to heap love, warmth, and cheerfulness upon them. In this way, it will draw them to Christ in you! They need to see Jesus and He is living inside of you. His ways are so much better than anything the world has to offer. You are right. I never said do not love them or be kind. But she also needs to be firm that their mockery isnt appreciated. She could just not turn up, but that is running away from the problem. She has the riht to attend family get togethers without being subject to abuse. I would of said calmly what i stated above, then gone off to speak to someone else or keep myself busy with other things. But if they came over and were prepared to be civil, i would be civil back. She also needs to pray for them. Its hard to have hard feelings against a person you are praying for. I love what K. B. Davis wrote on my Facebook page. I pray it encourages you! Indeed, it is a good thing to be hated by this amoral world. Christ tells us in quite a few places – “You will be hated for my sake”. And I say this boldly to EVERY Christian on this post: if the world does not hate you, you are doing something wrong. By virtue of being a Christian, people should find your thinking bizarre, weird or even eccentric. They truth you speak should make them uncomfortable, and the life you live should set you apart from them. Most will dislike you, and others will hate you. More so, you should feel ill at ease and out of place in this world. The ways, thinking and customs of this world should feel strange to you. You will cease to yearn after material wealth, riches and objects, and your morals and values become disparate from the worlds..
People opinions, compliments or criticisms will cease to have any effect on you, no human tongue is able to have any power over you, and nothing anyone says is able to define you. “If the world hates you, know that it hated Me before first. If you belonged to the world, it would love you as its own. But because you do not belong to this world, and I have chosen you out it, the world WILL hate you” – John 15:18-20. I want to tell you that, over the past several years, your blogs have been life-changing for me. My husband and I met in our thirties – neither of us were saved. We were both saved after having children (to make a long story short), but we had spent our adult lives not knowing God and being susceptible to all kinds of un-Biblical views of the world. 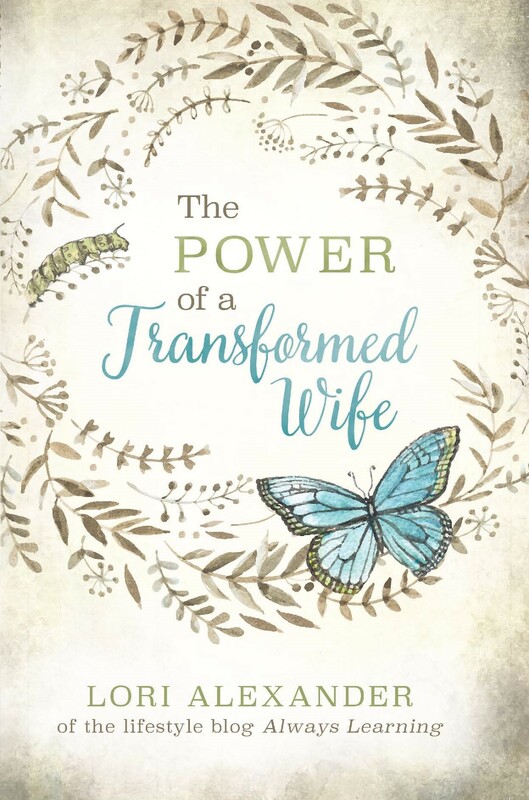 Your writings have helped me understand my role in our marriage and what it means. It’s truly saved our marriage multiple times as we navigate our new life and let go of our past worldly ideas. I was a feminist liberal not too long ago, and have completely changed. So I just want you to know that your writings are life-changing. You are doing the right thing (and I know you know, but I want you to know how much you’re appreciated)! My “writings are life-changing” only because I share the truth of God’s Word! It’s His Words that are life-changing and life-transforming so He is the One who receives all the glory! I am so happy, Cathy, that you have a soft and teachable heart to the ways of the Lord. You and your family are blessed! Anon 7:05 I’m so sorry you get persecuted for your faith and it’s especially hurtful when it comes from family. Maybe you and your husband can sit down and discuss what to do. Katy, I understand how you feel and though we know persecution is to be expected, it still hurts like crazy. When you understand that it is to be expected and we are to rejoice and leap for joy when others hate us because we are Christ followers, it doesn’t hurt then, Regina, because it means that Christ is more important to us than other’s opinions. Lori, I’m so glad you have the perspective you do! May God continue to bless you and open the eyes of the blind. I just heard a sermon on this topic this morning in the car. Made me think of you, Lori, and all the hate I’ve watched you handle really well. It still gets to me what happened with your book and all the women getting ready months in advance to give it low ratings just to hurt you. I’ve never in my life seen something like that happen to someone, but I guess I was just really naive how destructive and sinful people (even other Christians!!) are toward each other. Thank you for writing this though, it’s funny that I just heard it today and thought of you.